Dear readers, it is important to observe that, this article is incomplete for readers to read this piece without reading the first article under this series entitled ' Focus on Zambia'. And may I state that all opinions expressed in this series are independent and in case some facts are not outlined correctly, contact the author who is ready to hear out your concerns. In line with the above, it is important to observe that the author is non-partisan, in fact this article is meant for citizen empowerment and education, not to endorse or discredit any of the individuals mentioned. Is this the restart of colonialism in Africa? Is Guy Scot the right person to act as President? Can a white African be President of An African country? Is he legally acting President? What is the difference between the United States of America and the Republic Of Zambia in relation to Barack Obama and Guy Scott? Is Guy Scott, the other De Klek? Is Guy Scott, a lost sheep in the wilderness of the darkness continent? Is Guy Scott's acting as president a warning in relation to a decline in capable intelligent Africans with leadership qualities? And with respect to all the above questions, I feel it is the duty of every citizen to ask questions concerning the direction of the country, but the questions on Guy Scott are ignorant and in modern day, it is called Racism to judge someone's ability to serve based on the complexion of the skin. More to that, racism is not only when white people abuse black person for example when a Russian abuses an African, but also when Africans abuse they Chinese or Scottish its still racism. 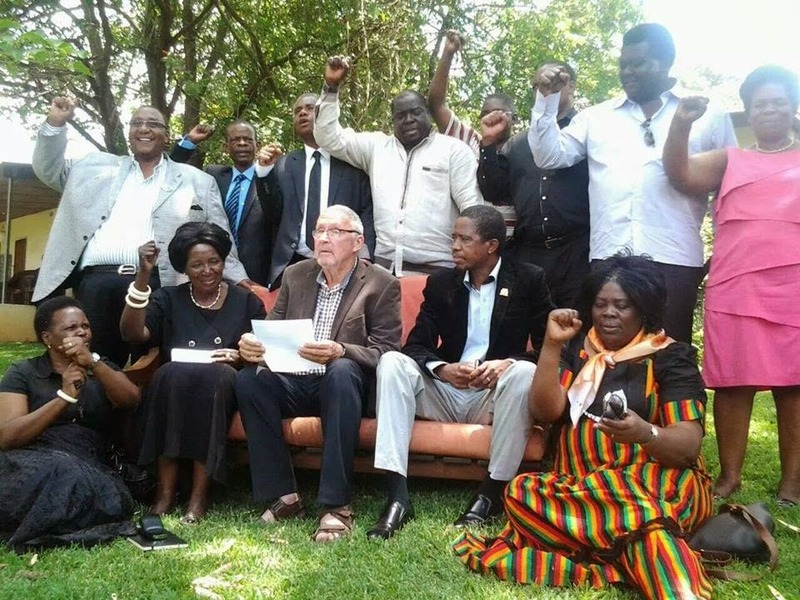 Scot's rise to act as President is what determination and hard work can do to anyone who believes in their dreams, and to say his appointment is the 'restart of colonialism' is shameful because he is one Zambian that has passed through the ordinary political structures of Zambia. And as for the 'good guy turned bad guy', I believe His Excellency Dr. Scott, caused himself the mess he is trapped into by breaking the protocol of mourning by exercising his newly acquired powers to fire the now famous Edgar Lungu, secretary general of the confused patriotic front (PF). With the unveiling of such events, Dr. Scott exposed his weakness by his failure to exercise patience before his final blow, on his enemies. Though question maybe asked such as, didn’t Dr. Scott, know about the 14 days mourning period or maybe his shoulders, grew above his head overnight to become “Super Guy above the law”? With the above in mind, Dr. Scott's ability to govern is under fire not because of his complexion, but due to his impatience and 'fast food' decisions like firing and reinstating Edgar Lungu, because that move was chaotic and able to destabilize the peace of the country. In Africa, we mourn and celebrate the dead, that’s our culture, but the death of President Michael Sata that took the ruling party by surprise, exposed the lost African spirit of mourning to selfish ambitious goals such as the inner- battle for the presidency within the Patriotic Front (PF). And to shade more light on the lost mourning spirit, I would like to speak about Mulenga Sata, the current Mayor of Lusaka and his lack of protocol. I believe Mulenga Sata being the oldest son of the late president should have encouraged the nation to mourn his father in peace and dignity, other than advertising his presidential ambition to succeed his father. And it is important for readers to observe that, Mulenga Sata is a citizen of Zambia and holds every right to air out his ambitions at any place and time, though I feel him airing out his presidential ambition while waiting to receive his father's body is irrespective and doesn’t show any form of protocol, hence, this I believe is a great lesson to every person, despite one's background, complexion, culture or political view respect is respect and we cannot substitute it for anything. Of late much speculation has surrounded the controversial topic of Rupiah Banda's return to politics and former president Banda recently left it to the Zambian public to discuss it and I feel its wise enough for Rupiah Banda to leave it open for discussion. According, to my own opinion Rupiah Banda should not return to active politics reason being he is old, to my understanding Rupiah Banda at this stage should be in relax mode and focus on mentoring young politicians through his politics wisdom other than fighting for positions with the young politicians. And not long ago, Rupiah Banda announced to the nation about his wife Thandiwe being diagnosed with breast cancer, I feel this is reason enough to keep him away from politics, not because his wife's illness is a hindrance, but due to the fact that, family needs and wants should be put first and satisfied first. Secondly, Rupiah Banda's comeback is bad for his former party MMD because the party will be divided into two fiction which will be led by party President Nevers Mumba and Rupiah Banda. And if such a battle was to start, this will take long to be solved and the already struggling MMD will not be able to regroup itself to contest any election or pose any threat to challenge the ruling party. To give a generalized opinion over what is happening currently, I sense some panic in the ruling Patriotic Front camp with the manner they are handling the whole mourning period. This can be observed through the disorganization they have displayed so far. One Russian say states that, ‘if the head of a fish is rotten, then the whole fish is rotten', this can simply be liken to the disorganization in the ruling Patriotic Front party leadership which symbolizes the disorganization of the party at all levels. "Farewell and salutions, king Cobra and long live the state".